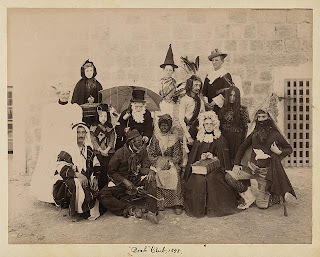 not Purim-related, but great costumes! "They tried to kill us. We survived. Let's eat!" 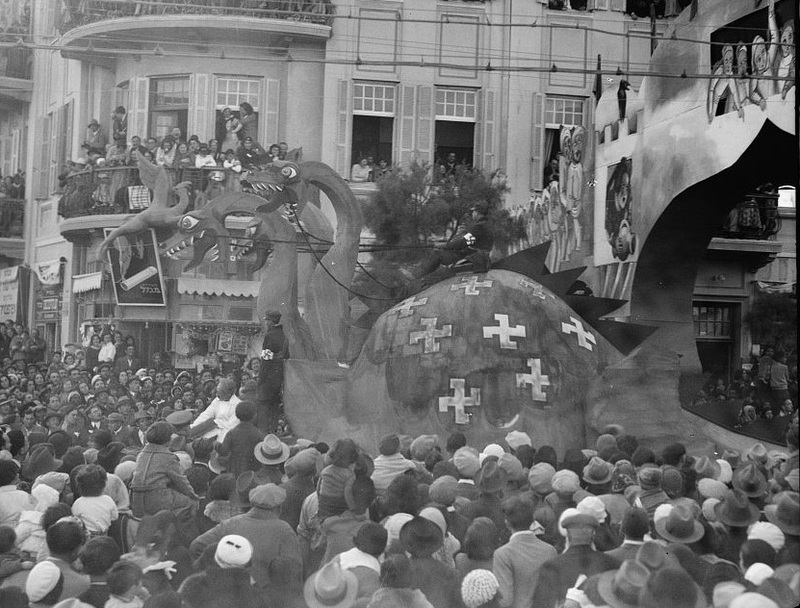 The Jews of Palestine used to celebrate heartily at the Purim Adloyada ["until they don't know"] festival and parade held in Tel Aviv in the 1920s and 30's. 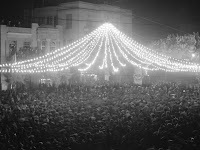 Some commentators make a crude comparison to Marde Gras partying, but the merriment is based on an ancient rabbinic tradition of Jews imbibing on Purim to the point where they do not know the difference between sobriety and drunkenness, between Mordechai and Haman -- but without losing their wits. 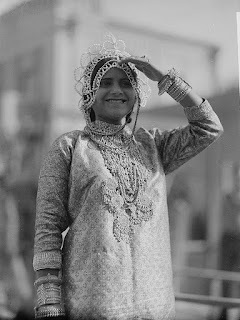 The Purim tale did not take place in Eretz Yisrael, but in Persia. A villain named Haman arose and tried to destroy the Jewish people. Through guile and disguise, Mordechai and Esther were able to thwart Haman's genocidal plans and save the Jewish people. 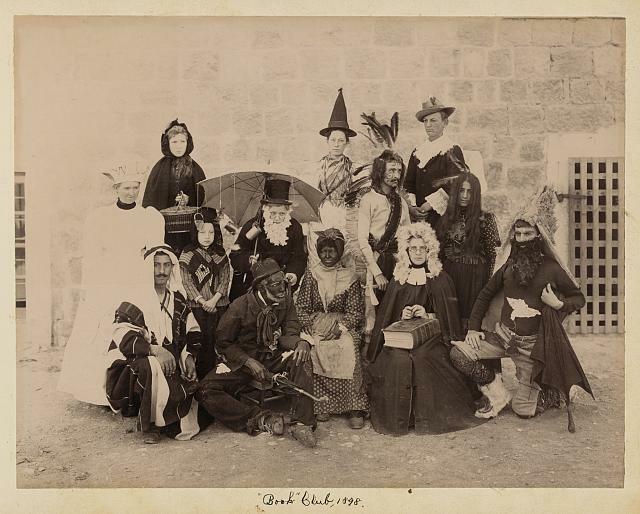 To this day there is a custom to dress up in disguises. ﻿Click on the photos to enlarge. The parallels between Haman's threat and the threats against Israel from Persia/Iran today are stark and worrisome. 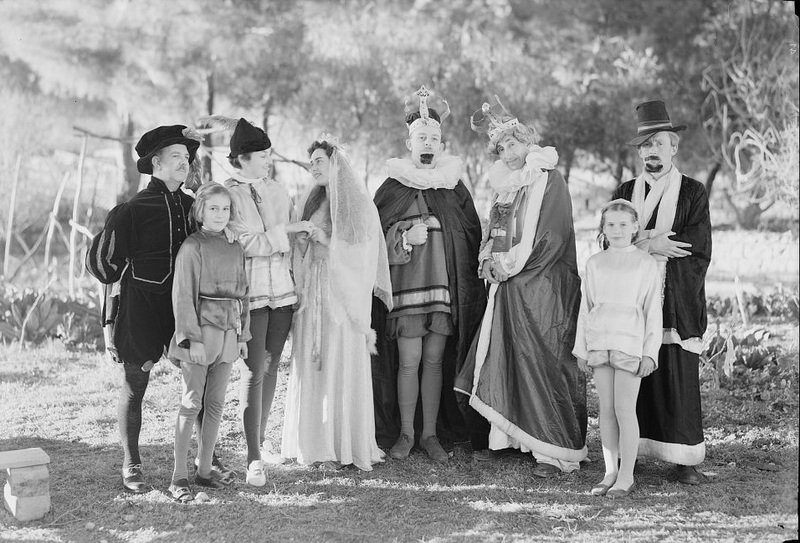 ﻿ But the threats to the Jewish people were also apparent to the photographers of the American Colony who photographed Purim celebrations in Tel Aviv in the early 1930s. 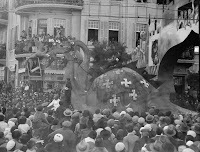 They photographed parade floats showing the Nazi threats. 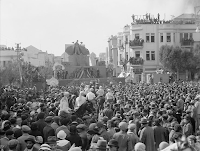 Another movie photographer filmed a float in 1933 showing dangerous Nazi cannons. 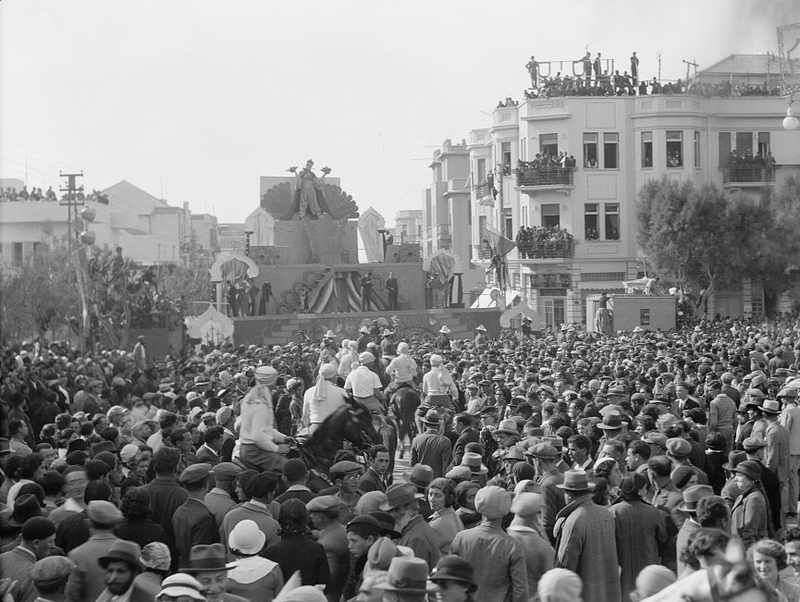 A screen capture from the film is presented here. 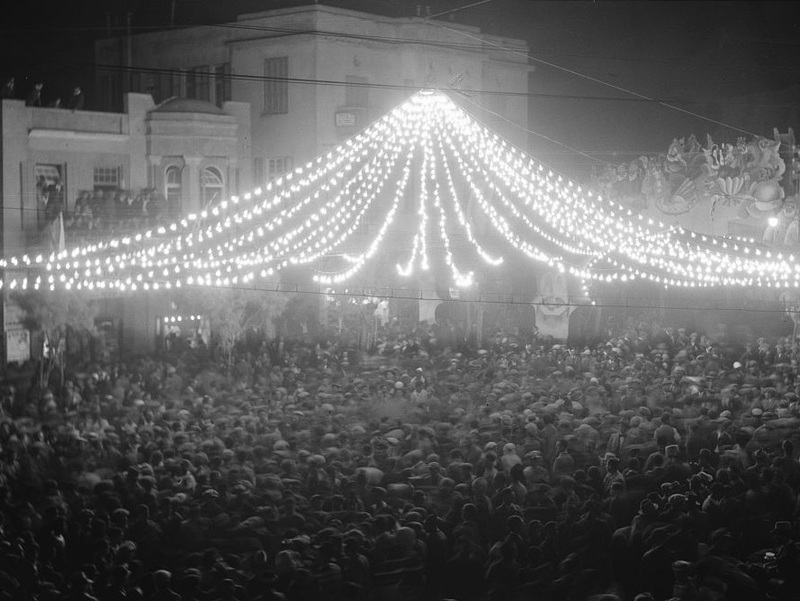 View Yaakov Gross' film of the Tel Aviv celebrations in the 1930s here: Visit his wonderful collection of films here.